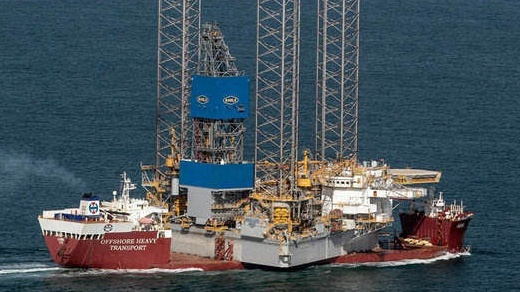 Aqualis Offshore has been contracted by Noble Corporation to oversee the load-on, transportation and load-off operations of the first journey of the world’s largest jack-up rig, the Noble Lloyd Noble. 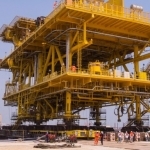 The marine and offshore engineering consultancy’s scope of work includes the provision of marine warranty services for the load-on, transportation and load-off operation of the jack-up rig. “To be trusted with this project underlines the position we have managed to build up in the global marine warranty services market over the past few years,” Aqualis Offshore Director Asia Pacific, Phil Lenox, said. “It is a great project to be involved in and we will do our part to ensure the journey goes according to plan,” Lenox added. Aqualis will ride with the ship for the first leg of the journey from Singapore to Port Elizabeth, in South Africa, the company said in a statement. The ultimate destination of the rig is Statoil’s Mariner field development in the UK sector of the North Sea, at an undisclosed value. Noble Lloyd Noble has been built by Semcorp Marine for Noble Corporation and, according to Sembcorp, is the world’s largest jack-up rig. The rig is based on the Gusto MSC CJ70 design as well as Statoil’s “Category J” specifications. 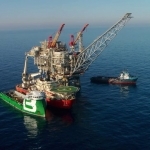 As well as this, the rig has an operational air gap of 69 metres (226 feet) and is capable of operating in a water depth of up to 150 metres (500 feet) in harsh environment conditions. 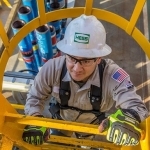 Additionally, Noble Lloyd Noble has a drilling depth capacity of 10,000 metres (approximately 33,000 feet), the company informed. The marine warranty services for the rig move will be provided by Aqualis Offshore’s Singapore office. 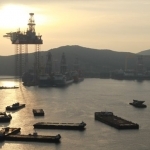 Aqualis is a specialised marine and offshore engineering consultancy firm focused on shallow and deep water segments of the offshore oil and gas industry.